As we discussed in the first two articles of this series, the first steps in avoiding colic in your horse are: 1) knowing the factors that increase risk for colic and 2) recognizing the early warning signs of poor gut health that could signal increased colic risk. The next critical step in recognizing colic early, or when poor digestive health may be increasing the risk for a colic, is knowing what is normal for your horse. Every horse is a unique individual with a unique personality, behaviors and routine. Any changes in these could be the first indication that a problem is brewing. 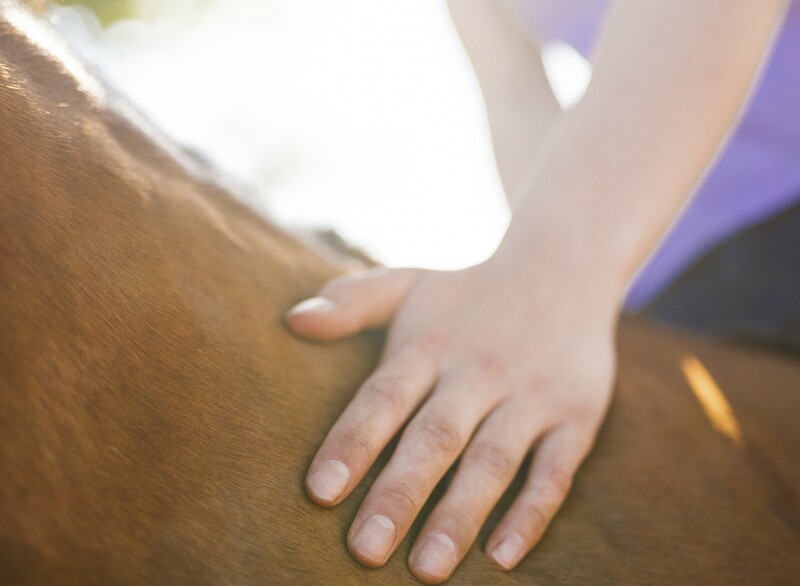 Therefore, if you are intimately familiar with what is normal for your horse, you may be able spot the signs of distress before they develop into a full-blown colic episode. Here are some suggestions to get you started as you think through the many aspects of getting to know your horse as well as possible. For instance, your horse always moves his morning hay to the back left corner of his stall and picks at it throughout the day. He’s flat out in his stall, probably snoring, for 45 minutes at 2:00 each afternoon. At night when turned out, he takes off galloping and bucking and likes to chase his buddies around for 20 minutes before settling down along the side fence to graze. If you then notice changes in these patterns, you need to evaluate whether a health issue is possible (keeping in mind changes in environment, new pasture mates, fluctuations in the weather, and a host of other things can also affect your horse’s routines). Just like people, horses can be introverted, extroverted, shy, playful, clever, sweet, curious, anxious, easy going, over achieving and any combination of these, and other, personality traits. The best way to get to know your horse is simply through interaction and learning how he responds to you, to other horses, to situations, and to stimuli. There are some online personality quizzes, such as this one from Horse Personality, Inc., that can provide a fun and insightful look into your horse. Keep an eye out for abrupt changes in your horse’s personality, which could be an indication of discomfort and distress. In addition to consistent routines and unique personality, your horse also has individual patterns of behavior. While all kinds of things can cause changes in behavior, or ongoing bad behavior, these can potentially signal generally poor digestive health or even a brewing colic episode. … and during any other kinds of interactions with your horse. Get to know what is normal – so that if something suddenly changes you know to start evaluating. Keep in mind that, in terms of its gut and digestion, you may have never seen your horse truly healthy. Feeding and management practices that can contribute to poor gut health are themselves so “normal” that poor gut health is a widespread issue among horses, especially in performance horses. It’s entirely possible that things you think are normal behaviors or personality traits actually reflect an underlying digestive issue. That’s why it’s important, even if you don’t think anything is wrong, to always be aware of your horse’s gut health and take steps to support it. One of the best ways you can catch and treat declining gut health or colic early is to know your horse inside and out. Pay attention to routines, personality, and behaviors – because when they change it could indicate that a problem is brewing.